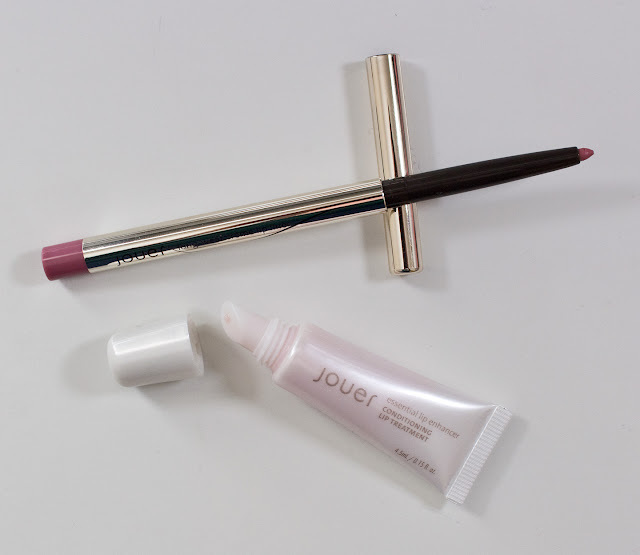 The Jouer Long-Wear Crème Lip Liner in Petal retail for $16US for 0.007 oz / 2g of product. 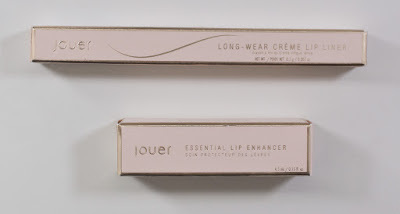 The Jouer Lip Enhancer in Essential Lip Enhancer retail for $16US for 0.33 fl oz / 10 ml. of product. Jouer Long-Wear Crème Lip Liner in Petal and Lip Enhancer in Essential Lip Enhancer. 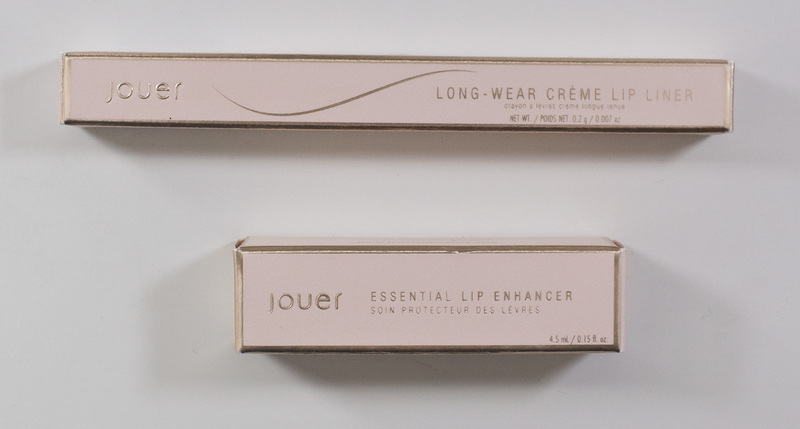 Jouer Long-Wear Crème Lip Liner in Petal and Lip Enhancer in Essential Lip Enhancer boxes. Polybutene, Hydrogenated Polyisobutene, Butyrospermum Parkii (Shea Butter), Octyldodecanol, Simmondsia Chinensis (Jojoba) Seed Oil, Beeswax, Trihydroxystearin, Polyethylene, Ethylhexyl Palmitate, Ricinus Communis (Castor) Seed Oil, Tribehenin, Sorbitan Isostearate, Palmitoyl Oligopeptide, Silica Dimethyl Silylate, Butylene Glycol, Hyaluronic Acid, Tocopheryl Acetate, Tocopherol, Vanillin, Fragrance, Phenoxyethanol. May Contain (+/-): Mica, Titanium Dioxide (Ci 77891), Iron Oxides (Ci 77492, Ci 77491, Ci 77499), Red 7 Lake (Ci 15850:1), Red 6 (Ci 15850). The Long-Wear Crème Lip Liner is opaque while applying smooth in application but does tugs slightly on the lip due to it denser formula. It also feels incredibly thin on the lips as well as you don't need to build it up as heavy. The Lip Enhancer in Essential Lip Enhancer feel like a gel lip balm on the lip and dries down within the hour compared to wax based balm. That said it feels like on the lips and help the lips from drying out in the winter month I've been using it. 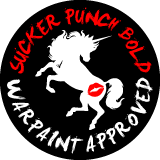 It's not as hydrating as a lip mask, but it reminds me of the Jack Black lip balms I used for years that kept my lip in good condition. Long-Wear Crème Lip Liner in Petal is a bright, warm pink with a matte finish. 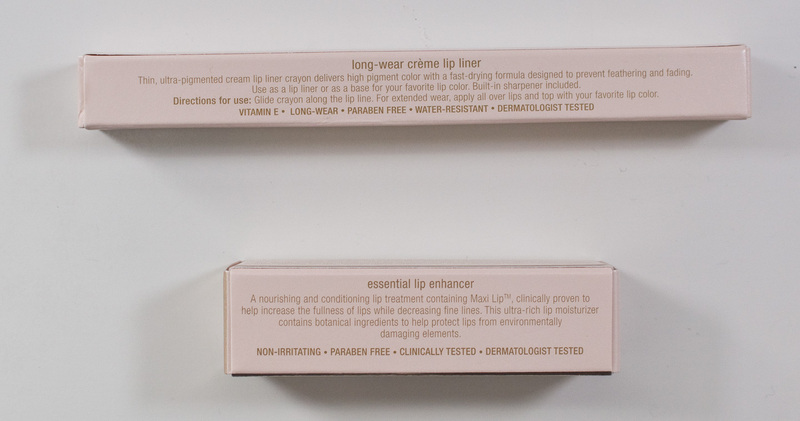 Lip Enhancer in Essential Lip Enhancer is a sheer pink that applies clear. 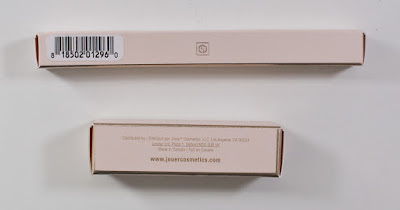 Wear: I got 8+ wear for the Long-Wear Crème Lip Liner. The Lip Enhancer I got about 4 hours before needing to reapply for feeling like needing more of it. The glossy look only last about an hour which is typical for a lip balm. 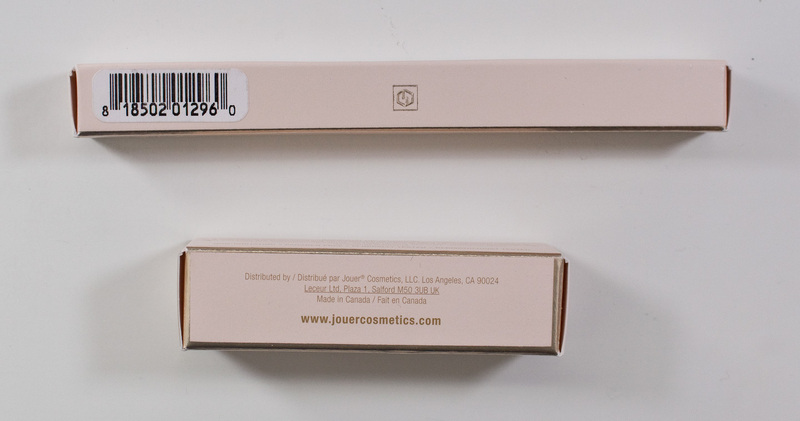 Packaging: The Long-Wear Crème Lip Liner is a twist-up pencil that can be retracted. The Lip Enhancer comes with a slanted applicator with its squeeze tube. Daylight & Flash swatches: Long-Wear Crème Lip Liner in Petal, applied in one stroke and blocked out. 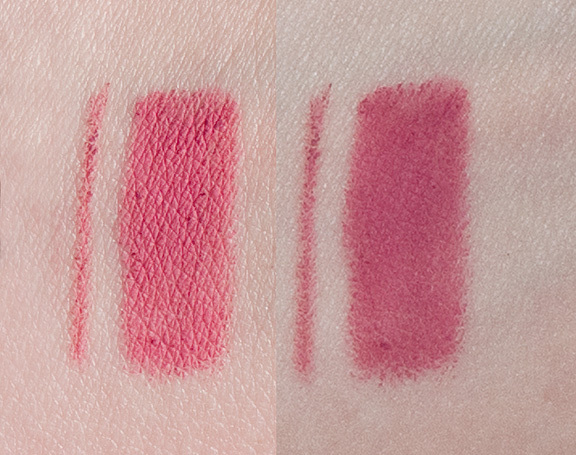 I like the Long-Wear Crème Lip Liner in Petal but formula wise it not as buttery as my favourite which is Urban Decay but performs just as well on the lips. 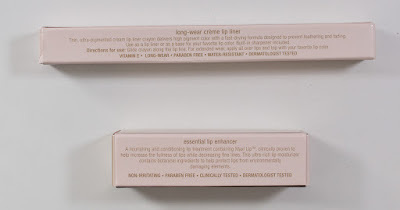 The Lip Enhancer in Essential Lip Enhancer feel nice, and I can see how the skin benefits of it with the extra infusion of Vitamin E, Shea Butter, and Jojoba Oil really does help the condition of the lips, but I still need a lip mask to lock in the moisture more.